The fiscal 2011 budget passed by the state Senate last week included a provision that will help protect library services in Western Mass.—although not as completely as some had hoped. Adopted as part of the $28 billion budget was an amendment, sponsored by Sen. Stephen Brewer (D-Barre), that requires the newly consolidated state library system to include a physical presence in the western part of the state. The Brewer amendment aims to alleviate some of those concerns. While the measure calls for the creation of a single state library system, it also requires “that physical locations be maintained in both eastern and western Massachusetts to serve the residents of said regions.” It was co-sponsored by three other Western Mass. senators: Stan Rosenberg of Amherst, Michael Knapik of Westfield, and Benjamin Downing of Pittsfield. At deadline, the budget was headed to a conference committee which will reconcile differences between the House and Senate versions. A final budget also needs the approval of the governor. A few weeks prior to the Senate budget’s passage, the House passed its own budget, which included an amendment that would have kept WMRLS intact. That amendment, sponsored by Rep. John Scibak (D-South Hadley), called for the existing six regional library systems to be consolidated into two: one in the eastern part of the state, and one in the west. Sixteen other Western Mass. reps joined Scibak in sponsoring the amendment. “It’s absolutely critical for those [western] libraries, those librarians, to be able to access training and resources through the regional system,” Scibak told the Advocate at the time. Among his concerns, he cited the inconvenience to Western Mass. librarians—many of whom are the sole staffers at their libraries—who would have to drive across the state to get the training and support they now receive through the Whately site. Scibak also questioned why the cuts to library funding, deep as they are—aid to regional library systems has dropped from $17 million in fiscal 2009 to $8.7 million in the proposed 2011 budgets—really required such a complete overhaul of the system, or whether it could still support at least two regional systems. In response, Robert Maier, director of the MBLC, told the Advocate that he didn’t believe WMRLS would be able to provide adequate services with those cuts. “In a dramatically underfunded budget, which this is, can a separate western region actually fulfill the mandate to provide services to the western part of the state?” he asked. Last week, Scibak told the Advocate that he supports Brewer’s amendment. After several long conversations with George Comeau, the chairman of the MBLC, and John Ramsay, WMRLS’ administrator, Scibak said, he has come to accept that a two-region system wouldn’t be financially feasible; he also feels confident, he said, that the MLS will take the needs of Western Mass. libraries seriously. While some legislators from the eastern part of the state complained that his amendment was trying to win special treatment for Western Mass., Scibak said, “All we wanted was to be sure we weren’t being disproportionately affected” by the consolidation. “My concern was maintaining services the best we could for Western Mass.,” he added. “A physical presence in Western Mass. was the driving force”—something Brewer’s amendment will accomplish. Lisa Wenner, director of Williamsburg’s Meekins Library, said she appreciates the hard work Western Mass. 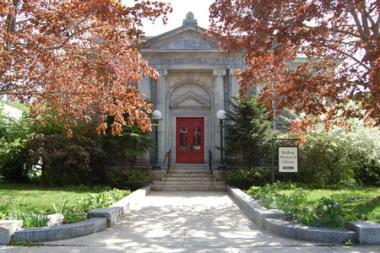 lawmakers did to keep a state library presence in this part of the state, as well as the impressive level of public organizing done in support of the region’s libraries (including a Facebook site, called “We Love Western Mass Libraries,” which counts more than 2,400 members). The Brewer amendment, Wenner said, “may be, at this time, the best possible outcome.” Still, like other librarians, she said, she still has concerns about what the changes will mean for local libraries: will the smallest libraries, in particular, still receive the level of services—the delivery service, the advisory help, the workshops—they’ve always received from WMRLS under the new system? And, she wondered, could WMRLS have survived as part of the two-region system proposed in Scibak’s amendment, at least for a few more years, until, perhaps, state funding for libraries improves? “People have differing opinions about that,” she said. Indeed, many in this part of the state would hope to see WMRLS’ closure as a temporary, and not permanent, move.